Weekend of 24th/25th Novermber 2018 newsMixed Cup Team beat Guildford 3-1 on penalty flicks. Through to the next round! Mixed cup team beat Guildford 3-1 on penalty flicks. Through to the next round! The Mixed Cup team started their England National Cup competition today at Heath End against a Guildford side. A youthful looking side for AFHC, sprinkled with a handful of senior players to keep them on the straight and narrow, kept Guildford at bay until 5 minutes after half time when they scored. This spurred AFHC to respond within almost 50 seconds when Max Long threw himself at the far post to deflect a Robert Jervis cross. AFHC then took the lead when Max again slotted a goal past their keeper. Guildford rallied and equalised with 5 minutes to go, meaning that penalty strokes were needed to settle the cup tie. Just like last year’s first round cup experience, Kate Cooper again stepped up to save three of Guildford’s shots and AFHC won 3-1 on flicks. The next round awaits. 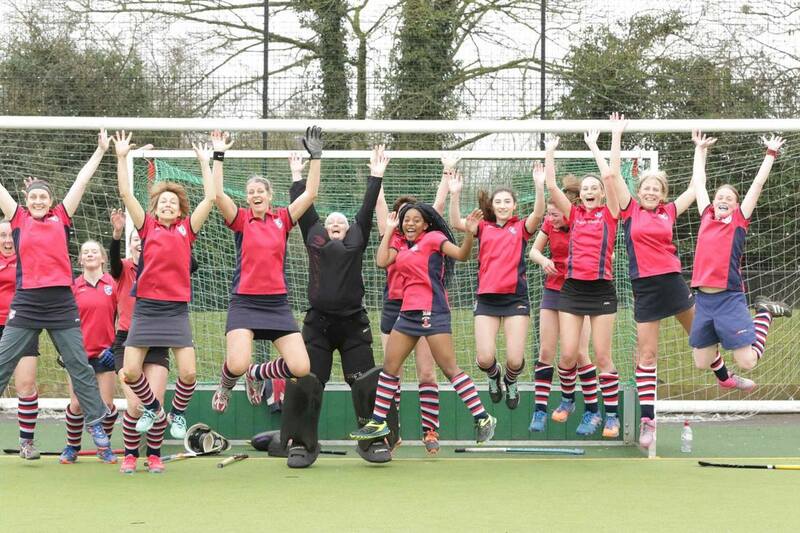 U16s girls had great win against Basingstoke on Sunday winning 7:1. Some excellent individual skills and brilliant team play including some awesome one twos in front of goal. An early start for the u12 boys against Winchester B this morning. Despite only having 10 men they managed to dominate the game and came out comfortable 6-1 winners. The scoreline is testament to the great team play that the boys have developed in recent games, underlined by the tenacity and thoughtful distribution of Jerome Sturridge and Oli Street in midfield to feed the pace of Ben Turrell, Jack Stevens and Noah Hewett in a skilled attack. When called upon the defensive line of Felix Taylor, William Stephens, Joe Telford and Freddie Pocock dealt with Winchester attacks with confidence backed up by James Badger in goal. Well played boys. Boys u16 ground out a 1-0 win against Alton today. The hockey in the first half mirrored the weather and the shots looked subdued, not quite getting the finish they needed whilst allowing Alton several chances at the other end. The second half was more like the impressive hockey the boys have played in previous fixtures and Alton found it harder and harder to match the tempo and slick passing game. Despite the shots dominance in possession, Alton were proving hard to break down whilst their goalkeeper was putting in a strong case for man of the match. A sublime forward ball from Bobby Woolen to Rob Corbin eventually split the Alton defence, Rob keeping a cool head to give Spike Stevens a tap in. Many thanks to Geoff Smith for managing and Malcolm for umpiring. Aldershot Mens 3’s played bottom of the League Portsmouth and Southsea today. We got off to a quick start, breaking down the slowest back four in the League. Rob C got the first goal from a short corner, and with other goals in the first half including a wonder strike from Ollie. Andy also got a goal in the first half, making it a half time score of 4-1. In the second half we continued to play with a high intensity and Will, Lemmy and Tom added to the score giving us a final score 8-1. A good save from Matt at the end to stop them scoring. 6 games undefeated and 5 wins on the bounce. Up to 4th in the League table and just 3 points off 3rd. We went 1-0 down quite early on, from not quite being awake/switched on. But this woke us up. For the rest of the game we fought hard. Graham mixed things up at half time, ensuring that their star player was marked out of the game. Andover had a couple of shorts but otherwise didn't look too dangerous. We had plenty of shots just going wide and then Lily managed to slot one home, with a bit of help from a defender, who Kate pressured into the error very nicely. Lily was Man of the Match – well done! Like every other home match this season, the ladies 1’s arrived at the club house for another inspirational talk from Aaron in the damp and dreary. The match started well with some great running and passing. We soon realised this was a very strong Horsham team, meaning we knew we had to stay strong and work together as a team. With a few cards for them and a fair share of short corners for either team the score remained 0-0. Unlike the score line says, it was great team performance! Man of the Match went to Ellie for some good tackling, mainly for getting hit in the chest and not complaining for once! Special mention to Rosie for her non stop running all match!! Ladies 4s lost 4-2 to Fleet & Ewshot. Well that was an exciting game ... where’s the jumpshot you cry? Alas missing this week but an awesome game of hockey was played ... we knew F&E would be tough - a team of fast youngsters and skilful players kept the game end to end from the first whistle ... Jenny Bailey took us into the lead within 57seconds! And then we battled and battled - they scored an equaliser - game on! Then I (hands up) got caught out when giving advice and their unmarked player pounced and scored! A quick third followed and yikes! Then a brilliant one two work with Cas Bush and Caitlin Taylor (working tirelessly) saw us pull one back 3-2 ... god we then battled but it wasn’t meant to be - and F&E slipped a 4th home! Man of the Match went to Charlotte Watson for tireless work but the whole team battled - it was a great game just a shame no jumpshot to reflect our efforts! After an early start the Ladies 2s travelled to Andover today. With some additional recruits we set off in a positive mood. 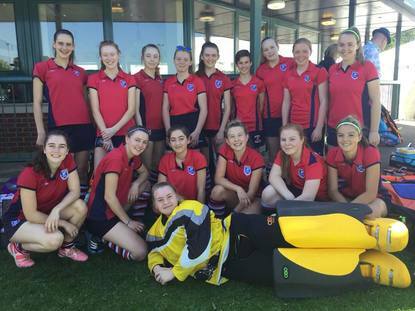 We started off slowly and conceded an early goal, but gradually we settled down and started to play some better hockey. Andover were strong in defence and prevented us breaking through. It was great to see Kate and Caitlin forcing the ball forwards and creating some attacking moves. In centre midfield, Chanel supported them well and linked effectively with Jodie (even though she was not allowed to wear her hat!!!). Ella played confidently and was always available as a connection between defence and attack – as well as chasing after endless balls. In the first half we seemed to put ourselves under pressure and they attacked continually down their left side of the pitch. Hannah remained composed (we won’t mention her Green Card) and then sustained a ball to the face in the second half, which must have hurt. Andover’s goals seemed to come from short corners, although not all from straight strikes. Penny, Lucy and Amy were well organised and distributed the ball well from defence. It was just a case of trying to break through their ring of midfielders. The final 5-0 score line did not reflect the game and there were positives to be taken from the match. It was good to see the team trying out things that we had practiced in training. A mixed weekend of results for the club, with some great wins and some tough losses. Ladies 4s took on West Meon and after a quick never seen before kit change for the oppo - basically turning their shirts inside out - off we went. It was a quick game from the start...half time the score was 0-0 with neither side being able to take the lead - West Meon were brilliant in using quick movements and catching us out every now and again but Catherine Powell dealt calmly with everything sent her way - a break allowing Fenella Holmes to score took us 1-0 up and then some lovely play instigated by Sophie D through Saskia and Charlotte Clive led to Emily M striking a deciding goal home - brilliant game! Following a 2-2 draw last week with fellow title chasers Alton, the mens 5s also won their match. Jimmy settled early nerves with a reverse from the edge. We let in a pretty cheap one shortly after and it looked like a long slog ahead. They were playing with two skillful youngsters upfront and everyone else playing in their own half...tricky and testing for Nige, Drew and Will at our back, but they handled it admirably with a bit to spare...and a solid wall to overcome if we were going to break them down. As it was we produced our slickest passage of play over a ten-minute spell leading up to half time...further goals from Ian and Daz 2 giving us a solid 4-1 turn at the break. Second half wasn’t spectacular, but Mike kept them stretched at the back, George marauded from sweeper and Doug and Daniel kept them gainfully employed out wide. Martin nailed down bottom diamond on a guest appearance there and Rupert looked like he’d never been away in goal. Final score 5-2, Daz completing his hat-trick. Great hard working team game again, everyone playing for each other...so no MOM. Very hard to find anyone for the lesser medal either. The Ladies 5s had the early shift today with a 9am push back at Yateley v Basingstoke 7s. Unfortunately they lost 4:0 but this is no way near to reflecting the quality of the play. With pretty evenly matched sides the tussle was in the middle of the pitch, sadly we lost an early goal to wicked deflection high over all of our heads, and despite crafting wonderful breaks on numerous occasions, thanks to the speed and agility of MOM Megan Holmes, we were unable to get the goal back before they scored again quickly on the return from half time. A tough match but one we can learn a lot from we will regroup and come back stronger next week and when we meet then again we will show them how we can really play. The 3s also had an early start away at Trojans. Putting into practice out our training and with a good starting lineup we had a strong start. The first half ended 0-0 with us having had a couple of unlucky strikes on goal and a strong defence. After half time Trojans flew off the block after having good instructions from their coach, scoring 2 goals in 10 minutes. However our determination resulted in us scoring with a strong attack by Jo finished off by Caroline, which left it 2-1. Trojans scored again and we soon responded with an attack on goal where Caroline's flick over the goalie was unfortunately picked up by a defender. Caroline continued fighting and scored again. The final score was 3-2 to Trojans. A well fought match by all and a good team effort. Elicia Seebold received MoM for strong defending and picking up of the ball. 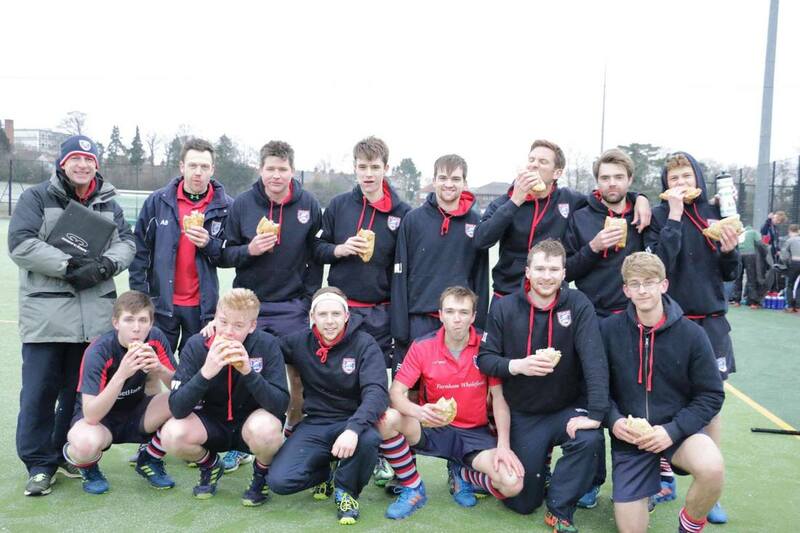 Ian Jennings continues as Men's 1s coach following the teams back to back promotions! 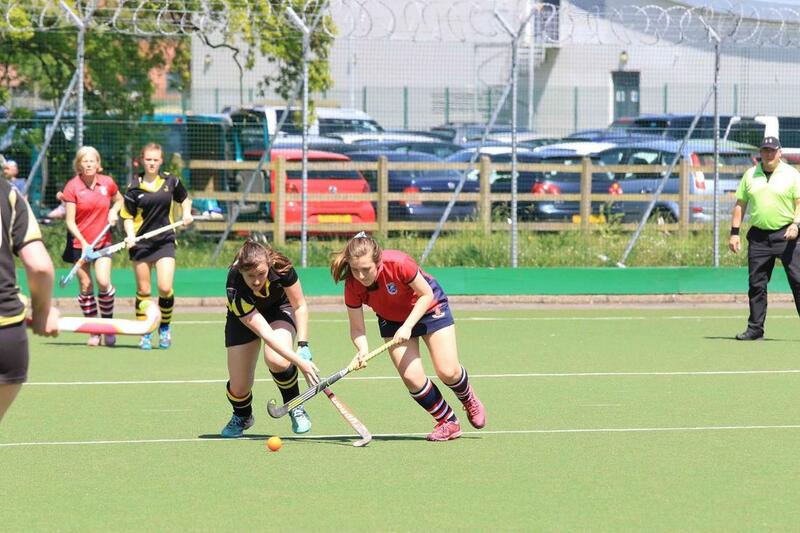 May 2018: Ladies 2s and U16 Girls worked hard in the heat on in their respective Hampshire Cup Finals! What a season! 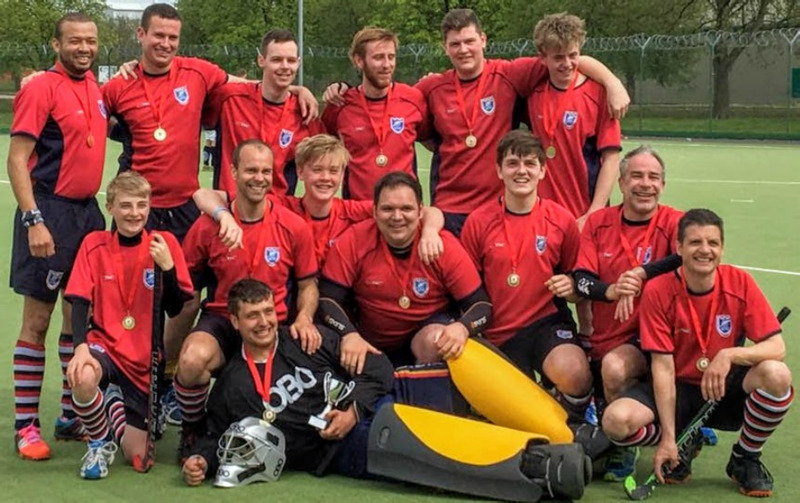 Four Adult teams have secured promotion, matching last years record! ​Jump shots are a tradition! ​Aldershot and Farnham Hockey Club (AFHC) have appointed Ian Jennings MBE (Jenno) as Men’s first team coach for the 2016/17 season. Jenno, who has lived locally for over 35 years, gained 38 caps for England during his international career and has also coached England Women’s Teams and England U21 and U18 Men. His main focus will be elite development of the Men’s section to enable AFHC to push for promotions and help players achieve their full potential. He will fit in this new position around his current duties for Indian Gymkhana. Aldershot and Farnham are a thriving club now putting out 30 teams and hosting almost 350 juniors at their weekly Sunday Hockey Academy. They are England Hockey ClubsFirst accredited and are based both at Heath End School, Farnham and the Army Hockey Centre, Aldershot.